Illuminations was one of the independent production companies formed in 1982 alongside the creation of Britain’s Channel 4. The new channel was in part set up to develop producers working outside the main broadcasters. With a company name from a Walter Bejamin book (and a nod to Blackpool), Geoff Dunlop (previously a producer/director with ITV’s The South Bank Show) and John Wyver (Time Out’s Television Editor) established Illuminations “to make distinctive programmes about contemporary culture”. Funding, technologies, distribution and much else have changed over the past 25 years but this aim is still central to our work. Our first productions for Channel 4 were two programmes of dance with Siobhan Davies’ Second Stride (1983 and 1984) company, followed by Once in a Lifetime (1984), a collaboration with David Byrne on a concert-plus-archive film of Talking Heads. In 1986 and again in 1988 Illuminations produced the influential series Ghosts in the Machine (1985-1988), British television’s first showcase for international artists working with video. The company’s first documentary about the visual arts was the Channel 4/Arts Council co-production Just What Is It…? (1984) about contemporary sculptors. This lead to Illuminations’ major project of the 1980s, the six-part State of the Art (1987, released on DVD in 2006), funded by Channel 4 and WDR Koln. Written by curator Sandy Nairne, this controversial and formally distinctive examination of “ideas and images in the 1980s” introduced many key figures to British television, including Joseph Beuys, Antony Gormley and Cindy Sherman. The series was accompanied by a book, a travelling exhibition and extensive educational activities. From 1993 to 2005 Illuminations produced Channel 4’s live coverage of the Turner Prize from the Tate Gallery. We witnessed Madonna swearing before the watershed, Damien Hirst’s acceptance speech cut off in mid-flow by Channel 4, and in our follow-up discussion Is Painting Dead? (1987) we saw a somewhat worse-for-wear Tracey Emin pull off her mike on-air and walk out. Television documentaries about contemporary art have included Shooting Star (1990), a profile of Jean-Michel Basquiat, and a reflective essay on media and representation, L’objet d’art à l’age éléctronique (1987) with French television channel La Sept and philosophers Jean Baudrillard and Paul Virilio. Historical broadcast films about the arts have included The Two Belles (1993), about two versions of Leonardo’s painting La Belle Ferronière; an elegant film with painter Eric Fischl looking at the work of Pierre Bonnard; and The King Meets the President (1994), the story of the famous photograph of Elvis’ meeting with Nixon in the Oval Office in December 1970. 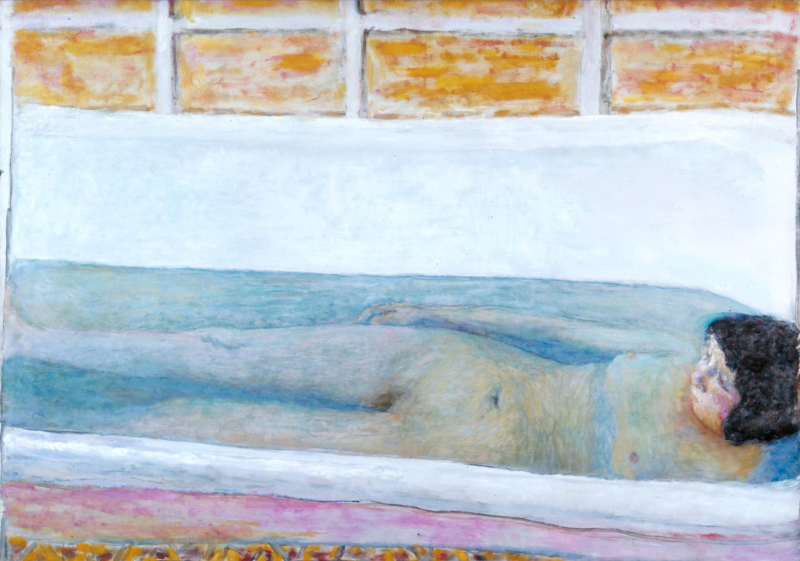 The three-part series Journeys into the Outside (1998), presented by Jarvis Cocker, journeyed across Europe and the USA in search of outsider art. From 1990 it became possible to produce as an independent for the BBC, and this new opportunity coincided with Illuminations’ re-structuring. Since then the company has been jointly owned by John Wyver and producer Linda Zuck. More or less at the same time we moved into our present offices in Islington, north London. The first Illuminations production for the BBC was another series of artists’ videos and films, White Noise (1990). Single documentaries followed including Arena: Chi-Chi the Panda(1992), about the famed animal star at London Zoo in the 1960s, and Horizon: Signs of Life (1990), television’s first exploration of the developing discipline of “artificial life”. Other work included TV Degree Zero(1990), a television tribute to the late French philosopher Roland Barthes, made for The Late Show to mark the 10th anniversary of his death. Another commission for The Late Show was MeTV: The Future of Television (1993), a film examining the impact on television of network systems and what was then known as the “information superhighway”. The programme contained one of the very first uses of the word “internet” in British television. This film led to winning a BBC commission for what were eventually four series of The Net (1994-98), which dealt with many aspects of digital communications and pioneered innovative link-ups between television and the internet. The Net was the first series to feature an e-mail address in its closing credits, and the first to have an accompanying web site. Alongside the third series an interactive on-line shared virtual world, called The Mirror, ran on the Web. The Mirror (1997) won a Royal Television Society Multimedia Award. Developing these interests and the forms of “inhabited television”, the company also produced Heaven and Hell – Live (1997), the first live television broadcast from inside a shared 3D virtual world, and was a key participant in the EC-supported eRENA research project, from 1997 to 2000. In the 1980s Illuminations provided an office and sympathetic environment for the group WTVA (Wider Television Access) and its magazine Primetime. WTVA was dedicated to getting television’s past seen and discussed more widely, and from this tie-up came television films like Six into One: “The Prisoner” File (1984), which includes a rare interview with the star of The Prisoner series Patrick McGoohan, A more serious look at the history of television’s relationship with Presidential elections was the two-hour film Campaign! (1998), made for Channel 4 and WETA, Washington. In the early 1990s, Illuminations pioneered popular shows about television history with the three-hour extravaganzas The A-Z of Television(1990) and 1,001 Nights of Television(1991), and then the hugely popular 13-week archive showcase on Saturday nights for Channel 4, TV Heaven (1992). Alongside this work, Illuminations has made a number of films and series about the cinema, including The Last Machine (1992), a five-part series about the beginnings of cinema hosted by Terry Gilliam, and All About Desire (2001), a profile of Pedro Almodovar. Three series of the Channel 4 series Dope Sheet (1997-99) looked at all aspects of international animation. Between 1994 and 1999 Illuminations edited BBC2’s strand of innovative cultural films Tx. and the company’s productions for the series included Ian Macmillan’s film The Scholte Affair (1998) and Marc Karlin’s exceptional reflection on the art of Cy Twombly, The Outrage (1995). The series showcased the work of many of the most distinctive and creative documentary filmmakers in Britain, including David Hinton, whose film Children of the Revolution (1995) was honoured with a BAFTA award, and Chris Petit, who made Negative Space (1999) for the series. Illuminations’ Tx. films also included striking films about contemporary photography, including documentaries by Nick Waplington,Nothing (1999), and Richard Billingham,Fishtank (1998), as well as films about the work of Nan Goldin and Guy Bourdin. The 1990s provided the opportunity to produce a number of social documentaries and science programmes, including Good ‘n’ Gone (1997), which demonstrates how easy it is to produce a false identity from scratch. Controversially, it’s far easier than you might think. Spending the Kids’ Inheritance (1995) visits the annual gathering at Quarzsite, Arizona, of a community of 200,000 elderly travellers who spend their time crossing the United States in luxurious Winnebagos, and Winds of Change (1994) is a film reflecting on the 1950s and the early years of apartheid through the photographic archives of South Africa’s first black magazine, Drum. The company’s science output includes two programmes for Channel 4’s Equinox series: Mindreaders (1997), a documentary about the links that exist between autism and social intelligence, and Women: The Inside Story (1996), about female sexuality and evolution theory. Gloriana, A Film (2000) is drawn from stage production by Phyllida Lloyd (who also directed for the screen) for Opera North of Benjamin Britten’s Gloriana. This film, released on DVD by OpusArte in summer 2006, was awarded the International Emmy for Best Performing Arts Programme in 2000. 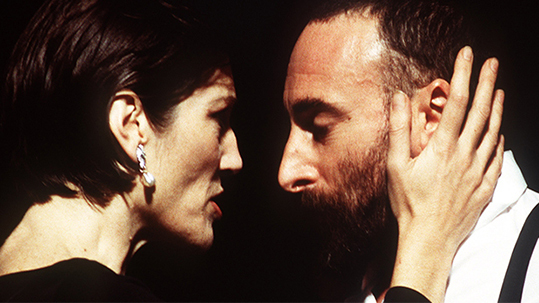 A third large-scale drama was Gregory Doran’s Macbeth (2001), starring Tony Sher and Harriet Walter, and made for Channel 4 and the RSC. Dance films from Illuminations include The Late Michael Clark (2000) and works with Wendy Houston, Shobana Jeyasingh and the American duo Bill T. Jones and Arnie Zane. In 2005 Illuminations produced for the BBC and Arts Council England the half-hour There Will Be Something Later (2005), choreographed and directed by Magali Charrier and Lucy Baldwyn. At different times in its history Illuminations has explored developing new interests and spin-off companies. Illuminations Interactive (now braunarts), set up with Terry Braun, did pioneering work with laserdiscs and early interactive technologies in the 1990s. Illumina (now Illumina Digital) developed low-cost production strategies and new forms of interactive production. Illuminations Films, set up to produce feature-length drama and documentaries, retains close links with Illuminations. Notable productions include London Orbital (2002) and Unrequited Love (2006), both directed by Chris Petit, Dance of the Wind (1997), directed by Rajan Khosa, and Jan Svankmajer’s Little Otik (2001). Building on the work done with The Net, Illuminations also developed production skills for web-based media, and was for three years the UK production partner for Columbia University’s fathom.com on-line learning project. Early in the 2000s it became clear that the new pressures on mainstream broadcasters, mostly a result of the proliferation and fragmentation of channels, meant that the opportunities for making arts programming through the BBC, Channel 4 and others were reduced. We saw this as an opportunity to begin to work in new ways, especially since new production methods were being facilitated by new cameras, desk-top editing and graphics, and also by the new possibilities of distribution. We released Mona Hatoum, our first published film produced with our own resources, in 2001. It is part of theEYE,a series of profiles of contemporary artists developed from this which now features over 40 titles. These titles are available on DVD and for licensing to broadcasters, colleges and galleries. Other titles published within this framework include The Sculpture 100, The Art of Henry Moore and Shakespeare’s Globe. We continue to broaden our range of partners and clients, and extend our work with the cultural media into many new areas.